AOMEI Backupper Free wannaCry Ransomware is the specially designed edition to prevent the Ransomware consequences, once you get attacked. AOMEI Backupper Free WannaCry Ransomware solution is not going to stop the Ransomware attacks but it can help to prevent any data losses. With help of AOMEI backupper, you can not only freeze the countdown of Ransomware but also prevent serious data loss caused by maloperation by taking the backup of your data. 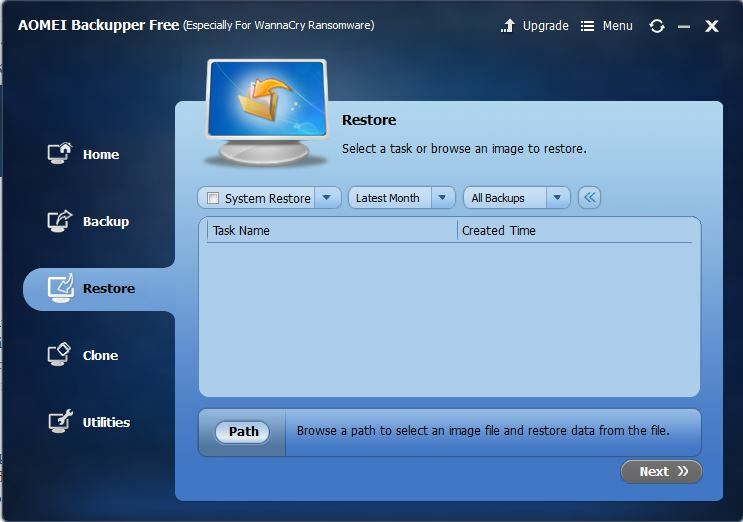 AOMEI Backupper Free can save your data by creating a backup image and restore all your important data when your computers have been attacked. Ransomware is a kind of malicious software that blocks the victim’s data access and controls it until the victim is not going to pay the money (ransom) they demanded. Also, there is no guarantee that after paying money to the Ransomware attackers, they will return the access or not delete the data. If you have been attacked by a simple Ransomware then it is not much difficult for a knowledgeable person to undo it. But advanced ransomware technique that is called Cryptoviralogy which encrypts the whole drive of a computer is something differrent. In that scenerio only the hacker or computer security companies those have ransomware decryption tools can bypass the malicious software. What is WannCry Ransomware or Decryptor? The WannaCry ransomware attack is a type of Ransomware program that targets the computers running on the Microsoft Windows Operating system. WanaCry locks all the data resides on the attacked computer. It also asks for ransom from the victim in the form of Bitcoincryptocurrency otherwise it will delete all data in a given amount of time. Protect Windows system against ransomware by creating a system image. To prevent from WannaCry ransomware which especially targeted the Windows system, it allows to backup entire hard disk (HDD), SSD or specified partitions to create an image file. Prevent the Ransomware for ‘Ransom” by backing up individual files and folders. 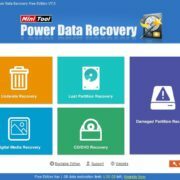 Set automatic backup, incremental/differential backups to make sure you’ll always have the latest backup of your important data to minimize damage once your computer has a virus. Clone a hard drive to another for backup to protect against ransomware. Fully support Windows 10, Windows 8.1/8, Windows 7, Vista, and XP (32-bit and 64-bit). If your computer has already been infected with Ransomware, you can still use AOMEI Backupper to create image files in System Backup, Disk Backup, Partition Backup to prevent any serious data loss. 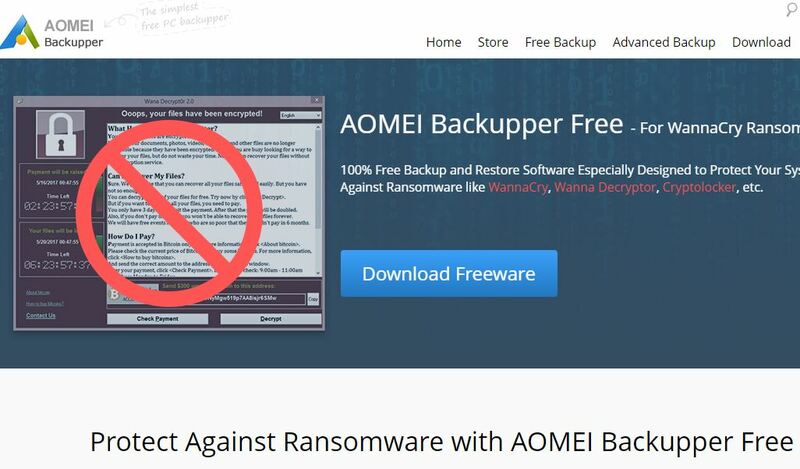 Step 1: First off all, go to AOMEI BAckupper website and downloadfree backup software AOMEI Backupper free for WannaCry Ransomware. Step 2: Click the button “Download Freeware” and the free AOMEI tool to prevent ransomware will download. Step 3: Run the downloaded .exe setup file and click the Install button and the installation will begin, once done the software is ready to use. Now let’s start the AOMEI Backupper software review, we go step by step. First, we discuss the look and feel of this software. 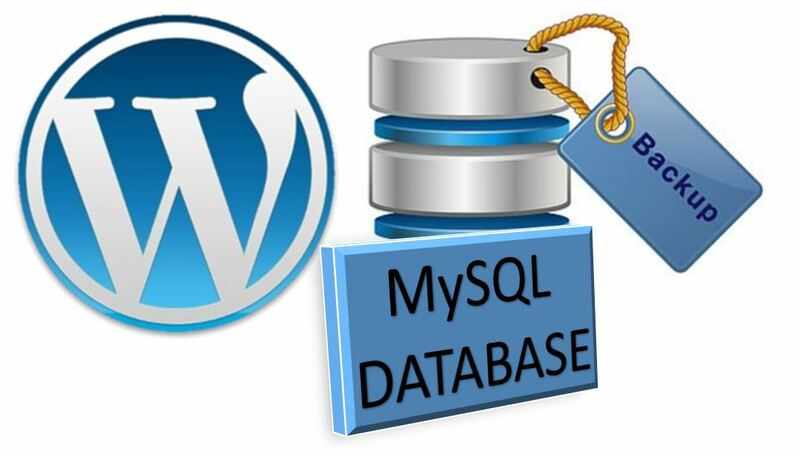 The interface of this program is straight forward and after launching the application anyone can immediately familiar with it if you have ever used any other backup tool. As shown in the screenshot, the Dashboard appears after launching the application contains all the options at the left-hand side. This means there is no need to search for the particular option to perform any operation, everything is at your fingertips. The very first option on the left side tab menu is Home where you will see two things: One is “I want to Backup Data” and other is “Create Bootable Media”. When you click “I want to Backup Data” button it will take you “Backup” option present on the left side tab menu while the “Create Bootable Media” will open a window from where you can create a bootable CD/DVD, USB drive or ISO file. Under the backup tab the options we find there are enough to meet all you backup needs. The backup options it provides are System Backup, File Backup, Disk Backup and Partition Backup. File Backup: This option comes handy when you want to backup particular files and folders to an image file which can recover when your original file misplace or deleted by some virus or ransomware. 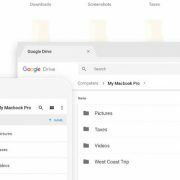 How to use AOMEI file backup. Like I said the software interface is pretty much straight forward like the backup option the restoring backup data from this software is also very easy. Just hit the Restore tab and select the path for the backup image created by the AOMEI, follow some steps and you are done. Partition Clone: This option proves handy when your important data resides in a particular partition of a hard drive, just clone that partition and you can restore as it is as in future. 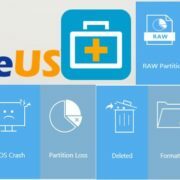 The Utilities contains some extra options such as Create Bootable Rescue, Explore image option that can use to explore the backup image by mounting it to a virtual partition, Check Image, Export/Import configuration file to manage your tasks, and Logs. In the backup option of this program, it also offers some other good options such as compression level, encryption, splitting, email notifications and VSS support. The best part this free program is that you can backup selected files and folders easily because it uses regular Windows file open dialogs rather than using its own file viewer. The flexible schedule option present in Backup tab gives the ability to run the backup operation when required such as on a specific day of the week, daily, at fixed intervals, or on a certain day of the month. You can choose to run full, incremental or differential backups in any scenario of backup via this tool. 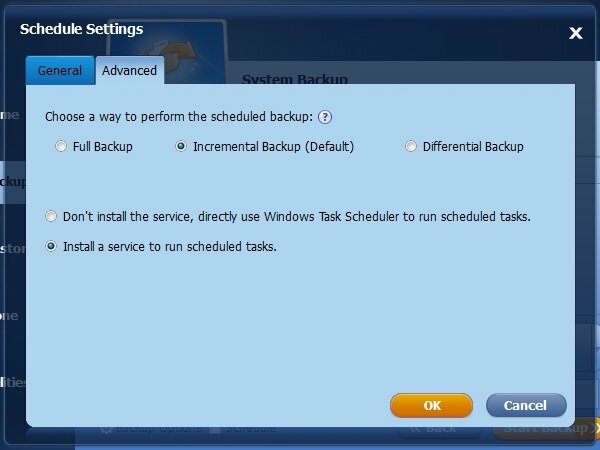 The good thing is that you can launch the backup directly using the Windows Task Scheduler, so reliability should be good. It’s possible to create a bootable rescue disc (Linux or Windows PE) if you need to restore the system drive. 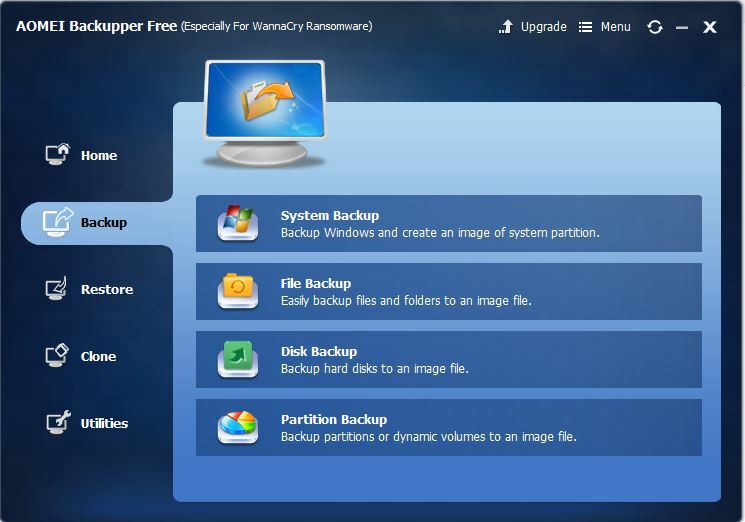 After using this tool about a week and going through all options of this software, we can say that this is the most convenient way to backup your whole Windows 7,8, & 10 systems. Yes, this tool is not going to decrypt the system which was completely attacked by the Ransomware but it can save your data if you have been using it. 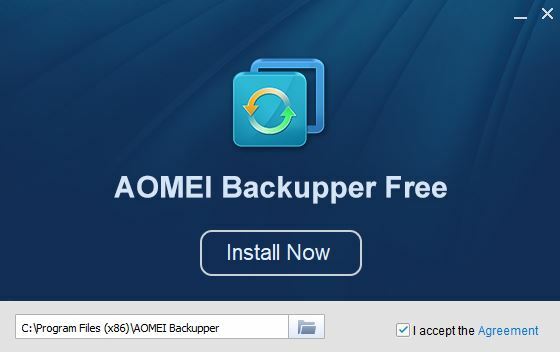 So, if you want some free backup tool then try the AOMEI Backupper. AOMEI Backupper Standard (download) is a computer backup software that supports system backup, partition backup, disk backup and file backup.etc. 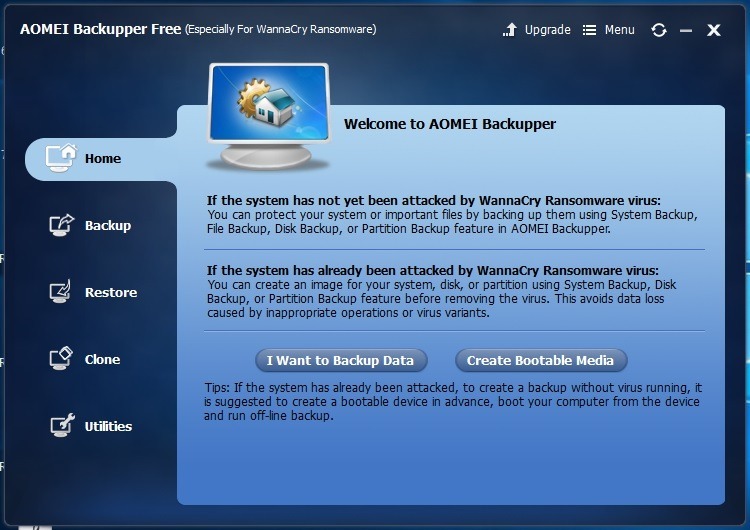 AOMEI Backupper Free is backup and restores software specially designed to protect the system & files against ransomware like WannaCry, Wanna Decryptor, Cryptolocker, etc. 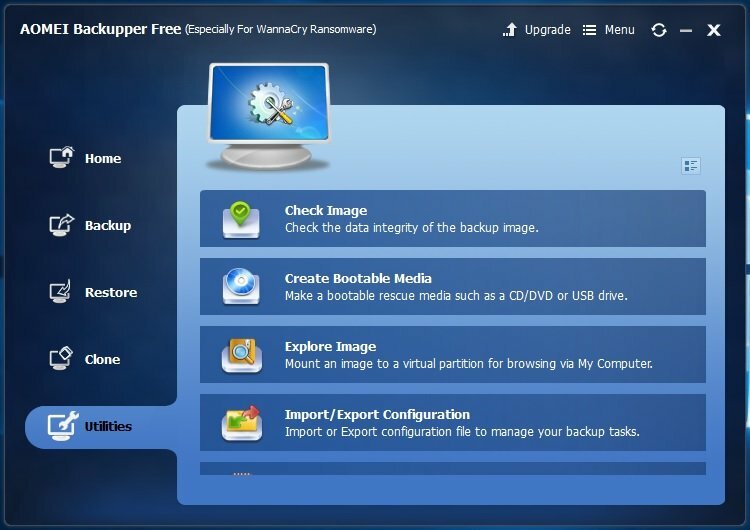 If the user feels like his computer without the risk of infection, he can use AOMEI Backupper Standard to do a full backup. If the user thinks the computer is very easy to virus infection, then we suggest him to use the AOMEI Backupper free. Both these two editions are all free to users.